Got pets, a pool, or close neighbors? We’ve got fences. 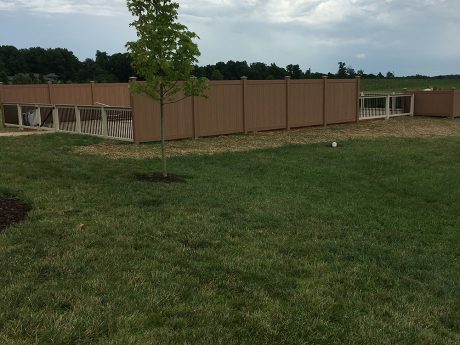 Whether crafting a safe space for your children to play or your pets to romp, a secure border for your pool, an enhanced property line, or simply boundaries for happy neighbors, we stand ready to guide you to a custom fence solution. We offer vinyl and aluminum fences to meet your needs. Our aluminum fencing product comes from Key Link Fencing and Railing Systems. When you need some privacy, vinyl fences close the gap. Close neighbors, nosy neighbors, noisy neighbors, nasty neighbors – neighbors of all kinds can be enjoyed when you have a vinyl fence protecting your privacy. Vinyl fences offer a distinct border to give you peace of mind. Expand your landscape with elegant borders. 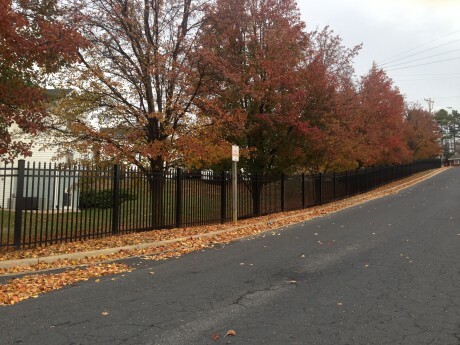 Aluminum fencing offers refined elegance for a seamless blend into your landscape. Aluminum fencing comes in rich colors that enhance the look of your property. Creating clear borders while maintaining connection to the rest of the landscape, your aluminum fence extends your view. Beauty and style meet form and function. 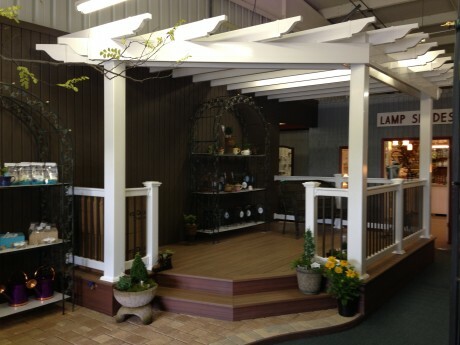 Dutch Way has the ability to provide you with a totally custom fencing solution. 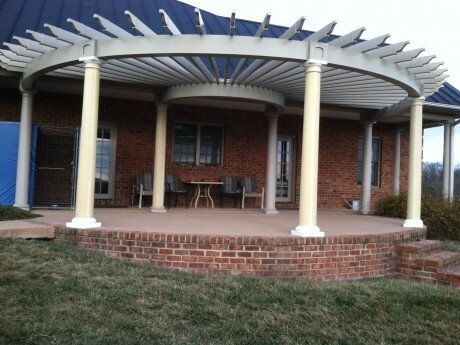 In our two decades of cultivating relationships with our manufacturers, we have acquired the expertise to create your precise, beautiful, custom solution for outdoor living in the Harrisonburg-Staunton area. Your project benefits from near limitless combinations of products, expertly guided with care and consideration for your needs, style, and budget. Look no further for a low-maintenance, economical solution. Our custom vinyl and aluminum fences are competitively priced. With an initial investment in quality, the minimal lifetime maintenance costs make our custom fences an economical solution. Our fences add value, peace of mind, and beauty to your home. For more information check out our aluminum fencing and railing supply company.